'I am loathe to believe that we will attach greater value to the sight of Lowburn Bay stocked to capacity with a few water skiers on the incoming weekend tide than we will to the enjoyment of hundreds at picnics on the shade-dappled grassy banks of the rolling Clutha at Bendigo, which must be one of the most beautiful stretches of flowing water in the world.' - K.F. O'Connor, Multiple Resource Use in the Upper Clutha Valley, Journal of Hydrology (NZ) Vol 14, No. 2, 1975. In the years following the gold-dredging boom of the 1890s Lowburn continued to be the focus of activity, often with several dredges working at one time. Spurred on by the desire to reach deeper and richer deposits, gold-dredges became larger and more efficient, culminating in the development of the electric-powered dredge in the late 1930s. 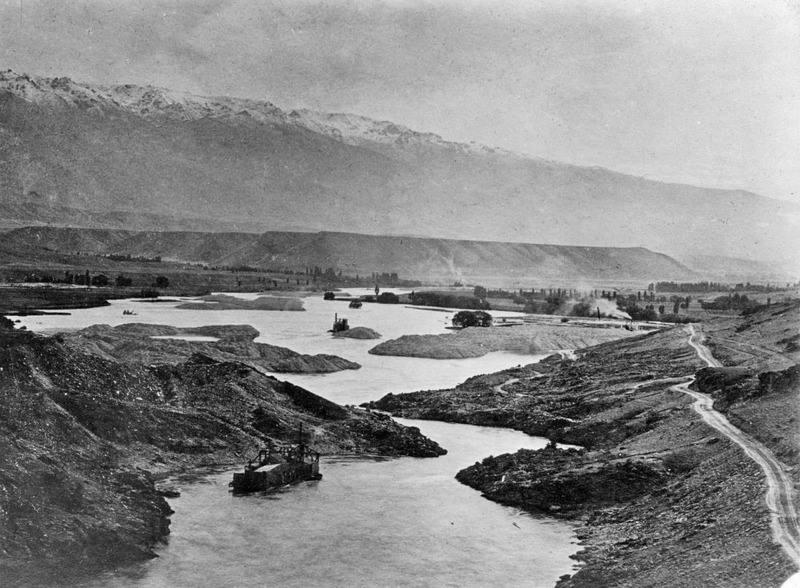 Three large electric dredges worked on the Clutha River. 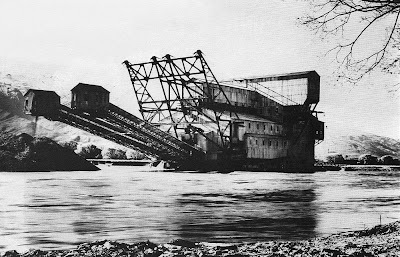 The Molyneux worked from Clyde, through the Dunstan (Cromwell) Gorge and into the lower Kawarau River, but it received very poor returns and ceased operating in 1942. The Alexandra (Clutha River Gold Dredge Co.) worked down the Roxburgh Gorge, and was later moved onto the Alexandra Flats and then over onto the Earnscleugh Plains. The last, the Austral-N.Z. (Austral Malay Tin Ltd's dredge) worked the Lowburn area in the Upper Clutha basin. 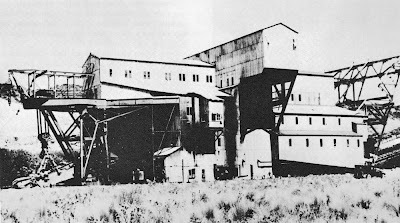 Several stories high, it is believed to be the largest gold-dredge ever built in New Zealand, and the world. Both the Alexandra and the Austral-N.Z. made steady returns, but both eventually ceased operating when all available land had been dredged. The Austral-N.Z. stopped working in the Lowburn area in January 1952, while the Alexandra stopped in the Earnscleugh area in March 1963. A brief history of Lowburn before the Clyde dam inundated the turquoise river, flooding our campsites, farms, and orchards. Where now, can we go to sit in the dappled shade beside the swift crystal waters, cooled by the moving air and the song of the river? Where is our river paradise? It is 60ft under.